Introducing our newest series “Great Women of History.” Each month we will highlight a female pioneer whose stories are not as commonly known due to our widely male-dominated textbooks. These women blazed the trail for us and there is much we can learn from their lives and triumphs. 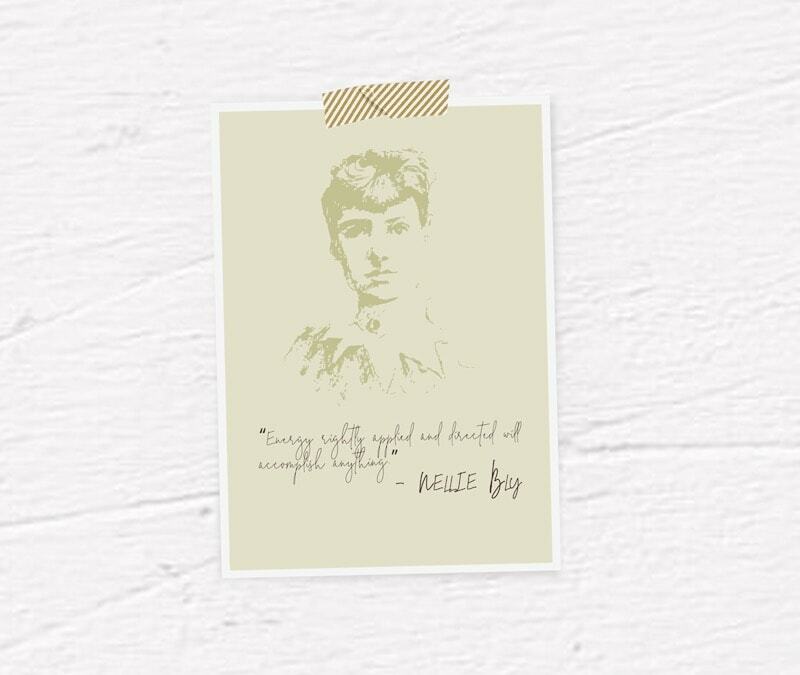 We are kicking it off with Nellie Bly, a true inspiration, and aspirational journalist. We even added a little bonus treat for you, so you can take a little bit of Nellie with you every day. Think you could sail around the world in 72 days? How about in 1889 as female. 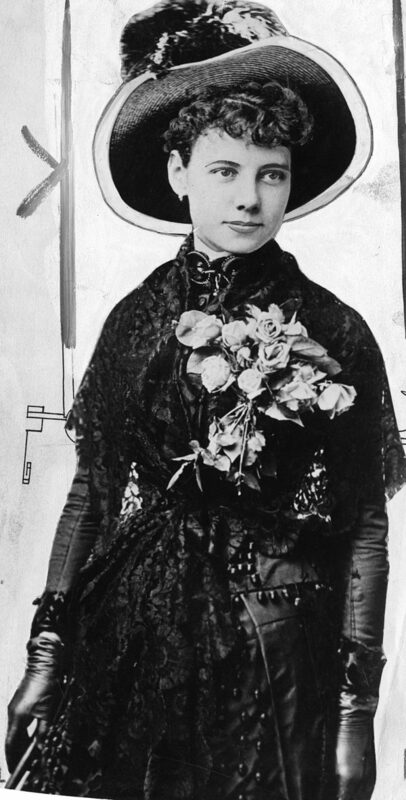 Nellie Bly, born Elizabeth Cochran in 1864 was no common lady. She was born in Mills, Pennsylvania, a town founded by her father. Tragically at the age of six, her father passed away leaving her mother widowed with 15 children. When her father passed it left the family with a grave financial detriment, because he left them without a will, and, thus, no legal claim to his estate. Nellie enrolled in college at the Indiana Normal School, a small college in Indiana, Pennsylvania, where she studied to become a teacher. Sadly, however, due to the financial constraints, she was forced to drop out. This could have ended her career and pursuits, but Nellie had bigger plans. 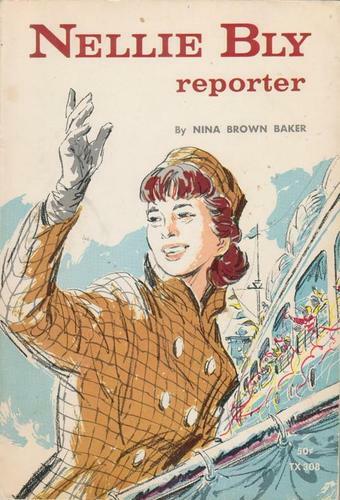 Nellie began her journalism career in an uncommon way, especially considering the times. As a true advocate for female rights, Nellie at the tender age of 18, submitted a racy response to an editorial piece that had been published in The Pittsburgh Dispatch. In the piece, writer Erasmus Wilson (known to Dispatch readers as the “Quiet Observer,” or Q.O.) claimed that women were best served in the home, and even referred to working woman as “a monstrosity.” Nellie didn’t take long to write up a fiery rebuttal, which in turn caught the attention of the managing editor at the time who offered her a position. 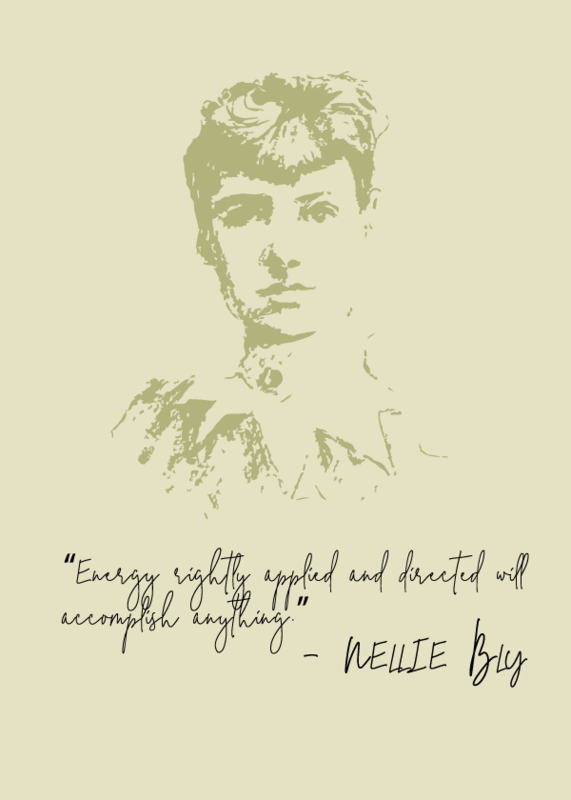 While Working for The Pittsburgh Dispatch at a rate of $5 per week—she took on the pen name by which she’s best known, after the Stephen Foster song “Nelly Bly.” Bly expanded upon the negative consequences of sexist ideologies and emphasized the importance of women’s rights issues. She also became renowned for her investigative and undercover reporting, including posing as a sweatshop worker to expose poor working conditions faced by women. Bly became increasingly limited at The Pittsburgh Dispatch after her editors moved her to the paper’s women’s page, so she moved to New York and began writing at New York World. Nellie went to great lengths to expose unjust conditions. One of her greatest and most known exposés took her undercover to expose conditions at an infamous mental institution on Blackwell’s Island. To accurately expose the conditions at the asylum, she pretended to be a mental patient in order to be committed to the facility, where she lived for 10 days. Her piece was a massive success. It shed light on the disturbing conditions at the facility, including neglect and physical abuse, and ultimately sparked a large-scale investigation of the institution which brought much-needed improvements in health care. Bly’s series was later reprinted as a book, Ten Days in a Mad-House. She continued to write editorials on the improper treatment of individuals in New York jails and factories, corruption in the state legislature and other first-hand accounts of malfeasance. She also interviewed and wrote pieces on prominent female activists including Susan B Anthony. In 1889, Nellie traveled around the world in an attempt to break the faux record of Phileas Fogg, the fictional title character of Jules Verne’s 1873 novel Around the World in Eighty Days. She set out on her journey from Hoboken, New Jersey in November 1889, traveling first by ship but later also via horse, rickshaw, sampan, burro and other vehicles. Talk about an adventure. She completed the trip in 72 days, 6 hours, 11 minutes and 14 seconds—setting a real-world record. At the age of 30, she married millionaire industrialist Robert Seaman, who was 40 years her senior. She retired from journalism at this point having accomplished so much at such a young age. When her husband died, she took the lead of his Iron Clad Manufacturing Co. During her time there, she obtained a patent for a 55-gallon oil drum, which evolved into the standard used today. Bly put her social reforms into action and Iron Clad employees enjoyed several perks unheard of at the time: fitness gyms, libraries, and healthcare. Nellie returned to journalism in 1920 chronicling the women’s suffrage movement, a cause she felt so deeply for. Sadly, she passed from pneumonia just two short years later. Nellie was truly a pioneer for not only women’s rights, but for investigative journalism and mankind as a whole. She lived by her saying,“Energy rightly applied and directed will accomplish anything.” She never let the unfair conditions of the time determine her fate. She is truly someone we should all look to for encouragement. We wanted to take a little bit of Nellie with us every day, so we designed this printable poster for all of you to hang on your walls for when you need a little push. It is adorned with her life mantra to inspire us all to live a bit more like Nellie did. You can download this printable poster HERE! It’s an easily framable size or you can simply tape to the wall of your workspace for when you’re in need of some inspiration. Be sure to share a picture of where you hang yours with us on social media.